Today we have an amazing interview with Chonce who is the founder of My Debt Epiphany. In the interview, she shared her top tips on how to become a virtual assistant and make up to $100 per day. Along with being a virtual assistant, Chonce is a wife, mother, personal finance expert and professional writer. She currently helps hardworking millennials, recent grads and entrepreneurs get unstuck by taking charge of their money so they can live with financial peace. In this interview, Chonce shares how to pick up a virtual assistant side hustle and make money from anywhere in the world. 1. Please give us a little background about yourself? How did you get started in the VA writing business? How long have you been a VA? I’m a full-time blogger and freelancer living in the Chicago suburbs. I’ve been freelancing for about 3 years now. 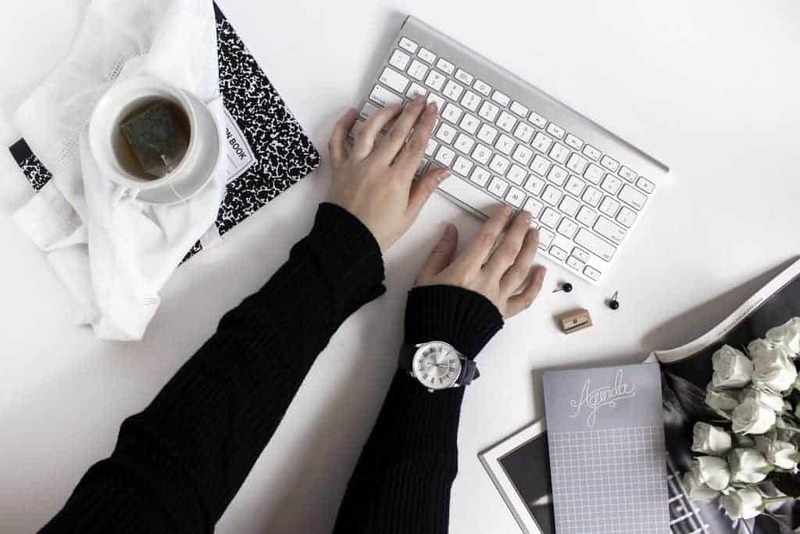 I started as a freelance writer online but now I also do a lot of virtual assistants (VA) work because I find it’s a nice trade-off from writing all the time. 2. What type of training/skill does an individual need if they are interested in becoming a VA? You need to be extremely organized, have good communication skills along with basic computer skills. At a minimum, you need to know how to research online, check and respond to email, and catch on quickly to different software programs and online platforms. It also helps to know how to join video or audio conference calls to meet with clients. Some VAs have a specific niche which may require more experience. For example, a Pinterest VA needs to know a lot about Pinterest marketing. 3. What exactly does a VA do? Who can they work for? What type of jobs can they do? What does a normal day look like? VAs usually work for bloggers, entrepreneurs, and small businesses. They do a ton of virtual secretary and management work like performing research, digital marketing, social media marketing, blog management, editing blog posts, creating graphics, scheduling meetings, bookkeeping, paying invoices, negotiating with advertisers, booking speaking engagements, etc just to name a few tasks. A typical day for me is hardly ever routine. I work from home since all I need is my laptop and I organize my tasks for the day and priorities in my planner. I like to work during business hours when my son is at school but as long as I meet my project deadlines, I tend to work any time of the day. I tend to check email throughout the day to communicate with clients and ask questions about tasks as needed. 4. Where can a new VA find jobs online? You can try job boards like Upwork or websites that hire VAs like Fancy Hands, People Per Hour, and Zirtual, but I’d recommend cold pitching or using your network to find solid leads. Join Facebook groups, start a website to advertise your service and search for your ideal client on Google. To warm up the pitch, connect with the individual or business on social media and interact with them on on their blog. 5. How much can a beginner VA except to make in the beginning? How much can they expect to make after one full-year of freelance writing? How much can a well-established VA make per day? VAs can earn anywhere from $12 – $17 per hour as a beginner and rates go up with experience. It’s not uncommon to pay a VA $20 – $35 per hour if they are experienced and produce stellar work. I make sure to bump my rates up a bit for clients each year. 6. What are the best tools for a VA? Google Apps is great because most businesses use Google (whether it’s G Drive, Gmail, Calendar) due to its convenience and simplicity. Dropbox is a great tool to use to backup clients’ files and images. LastPass can help you safely keep track of different passwords. Asana is my personal favorite free tool for staying organized with client projects and sharing files. 7. What do you like best about being a VA? What has it helped you do? For me, the best thing about being a VA is getting to provide a valuable service that helps others grow their business. I admire a lot of the things my clients are doing and feel good knowing that I’m supporting their business’ mission. Being a Va has helped me master more skills like writing and marketing and the income has helped me grow and diversify my business and meet my other financial goals like paying off debt. 8. What has been the best platform(s) to promote your VA business and why? My blog has actually been the best platform. I share what I do on my hire me page and many of my VA clients are bloggers. Yes, bloggers often hire other bloggers as VAs. It’s smart really because I do a lot of tasks for my own blog that clients want done so I already have the experience and thus, catch on quicker. 9. How much does it cost to start a VA career/business and how much does it cost to maintain it on a monthly basis? The cost really depends but it doesn’t require much. If you have the desire a few skills, you can get started right away on job boards. If you want to build a more sustainable side of a full-time business, you may want to look into setting up your own site, taking a course or training program about becoming a VA, and investing in some marketing to promote yourself. 10. What are your go-to online resources for a beginner VA? My friend Kayla has a course called 10K VA. It teaches you everything you need to know about starting a VA business from scratch and making thoughts of dollars per month. 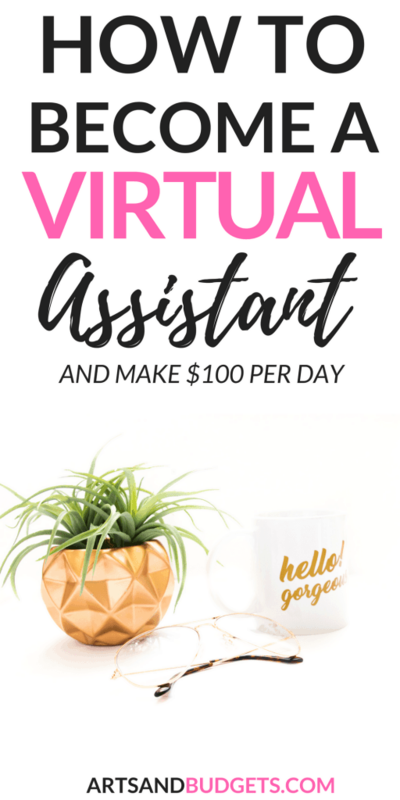 Kayla is a highly sought after virtual assistant and earns an average of $10K per month with her business so her course is a great resource given all the information, tips and strategies it provides. 11. Any additional tips or resources you would like to give someone interested in a VA career? Stop procrastinating and just try it out. Some people think they’d love to become a VA then get discouraged and never pursue the opportunity. Since you can work flexibly from home, develop marketable skills, and grow a business with such a low start-up investment, there is really nothing holding you back from giving it a go. I’d recommend joining free Facebook groups, reading more articles about VAs online, and checking out job boards or pitching small businesses that you think would be interested in your services to get started. VIPKid: With VIPKid you can get paid up to $22 an hr to teach in China. Don’t worry, you do not need to know any foreign language and their team also create all the lesson plans for you! #Score Check out VIPKid by clicking here. Pinecone Research & Harris Poll Online: Both Pinecone Research and Harris Poll Online are some of my favorite survey sites to earn gift card rewards and/or extra money online quickly. Check out Pinecone Research by clicking here. I tried doing VIPKid but, as an ESL teacher, I found their service to be a bit iffy. Other than that, this VA post has been really informative! This is SO inspiring. I’m reaching a crossroad in my freelancing career at this moment in time and being a VA might genuinely be something that would work for me. Thanks for sharing! ah it’s so refreshing to read a q&a of a VA as I used to be one myself! It was definitely better than the 9-5 job i must say! great questions that you asked on this post plus the resources for aspiring VAs out there too! This interview contains so many important points for anyone who is looking to work as a VA. Very comprehensive. I’ve been seriously considering being a VA. This may have completely convinced me. This is some great info. It’s nice to get tips like this that’s straight forward with what you need to know when it comes to freelance jobs. The article is so inspiring. I am already convinced. Thank you for such an article. Cool and informative. I think I would like to go to the work-at-home bandwagon, but not right now. Working at home is not for anyone. I require lots of discipline and self-control. Some people joke ppl who work at home don’t wear pants. LOL. Terrific blog design. Hope to be back.